What Happens If I Fall Behind on Car Payments? What If I Cannot Make My Car Payments? It can be a frightening proposition. Perhaps you have lost your job. Maybe there has been an accident in your family and you are hit with a huge medical bill that you were not expecting. Maybe you just simply bit off more than you can chew financially. Whatever the reason, you now find yourself seriously strapped for cash and you can’t make your car payment. And it looks like you won’t be able to any time soon. What should you do? Your first instinct may be to lock the garage, close your curtains, and wait. That may be your first reaction, but it is certainly not the best. A lot depends on the language of your loan contract and other factors (such as your credit history), but if you fall 30 days or more behind on your payments, you are going to receive a letter and a telephone call from your lender, followed by more letters and more telephone calls. Finally, at some point, someone is going to come to your home or place of business and tow away your car. Repossession most certainly will cause you more problems than it’s worth. First of all, it will do some serious damage to your credit rating. Secondly, you may very well end up still owing on your loan because, once your lender has repossessed your vehicle, they are going to turn around and sell it. And if the sales price doesn’t cover what you owe on the loan, they are going to come back to you for the difference. By the way, your lender is going to add the repossession costs to what you owe. The bottom line: avoid repossession. Probably the best thing that you can do if you have missed a car payment, or are about to, is to call your lender. Lenders don’t like it if you miss a payment, but they would much prefer to work out any problems you are having than repossess. They may be willing to defer your payment for 30 days or refinance your existing loan. Maybe both. Refinancing will allow you to spread out your payments over a longer period of time, thus lowering your monthly bill. That lower payment may save you enough money to keep you from losing your car. You might need to refinance at a higher rate, but it is also possible that your rate will go down. Whether you will be able to refinance or not depends on several things, including your credit history, prior payment record, and the reason you are now falling behind. But the only way you will know for sure is to talk to your lender. If you cannot make your payments and none of the above options is available, you may simply have to bite the bullet and turn in the keys. Surrendering your vehicle to your lender will mean damage to your credit, but probably much less than an involuntary repossession. 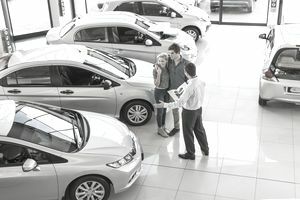 And you might be able to work out a deal where the amount you still owe (after the lender sells your vehicle) is diminished or forgiven entirely. Falling behind on your car payments is a real problem, but turning off the lights and hiding will not make it go away. As with most things in life, honesty is the best policy. It is in your best interest to face your payment difficulties and deal with them squarely. Contact your lender and let them know what is happening. They will want to help. It’s in their best interest, too.